Cel – W artykule wykorzystano założenia asymetrii ryzyka Ahlbrechta i Webera w koncepcji Otwartej Nauki. Celem artykułu była odpowiedź na pytanie: Jakie są asymetrie ryzyka w procesie ewolucji koncepcji Otwartej Nauki? oraz Jakie są kierunki zmian koncepcji Otwartej Nauki? Metodyka badania – Autorzy opracowania dokonali przeglądu literatury przedmiotu w nurcie empiryczno – historycznym. Wykorzystana metodyka badawcza to krytyczna analiza stanu wiedzy. Wynik – W części pierwszej artykułu przedstawiono założenia koncepcji Otwartej Nauki na tle polityki prowadzenia badań naukowych. W drugiej części opierając się na teorii asymetrii informacji dokonano analizy możliwości funkcjonowania koncepcji Otwartej Nauki w procesach uniwersyteckiego transferu technologii. Zidentyfikowano trzy asymetrie ryzyka: w obszarze oceny jakości wyników badań naukowych, w intensywnym tempie przyrostu wiedzy i wyników naukowych, ryzyka defraudacji środków publicznych. Analiza skutkowała wyodrębnieniem dwóch funkcjonujących systemów. Systemu Otwartej Nauki oraz Systemu opartego na Własności Intelektualnej. 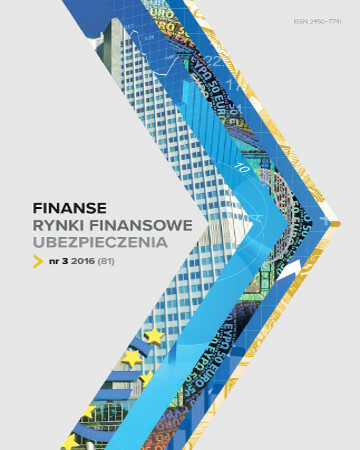 Zidentyfikowano różnice pojawiające się pomiędzy tymi systemami. Oryginalność/wartość – W artykule autorzy odpowiedzieli na zadane w celu pytania. Rozważania na temat koncepcji Otwartej Nauki prowadzone były na bazie teorii asymetrii informacji Akerlofa oraz asymetrii ryzyka Ahlbrechta i Webera co jest niespotykane jak dotąd w literaturze przedmiotu. Zaproponowano podział asymetrii ryzyka w obszarze Otwartej Nauki z perspektywy transferu technologii takie jak: krótkoterminowa długoterminowa asymetria, asymetria pewności i ryzyka, asymetria straty i korzyści oraz zaproponowano autorską asymetrię publiczno – prywatną. 1. Ahlbrecht, M., Weber, M. (1997). An Empirical Study on Intertemporal Decision Making Under Risk. Management Science 6 (43), 813–826. Retrieved from: http://dx.doi.org/10.1287/mnsc.43.6.813. 2. Agarwal, S., Chomsisengphet, S., Liu, C. (2016). An Empirical Analysis of Information Asymmetry in Home Equity Lending. Journal of Financial Services Research, 1 (49), 101–119. 3. Ahlbrecht, M., Weber, M. (1997). An empirical study on intertemporal decision making under risk. Management Science, 6 (43), 813–826. 4. Akerlof, G.A. (1970). The Market for “Lemons”: Quality Uncertainty and the Market Mechanism. The Quarterly Journal of Economics, 3 (84), 488–500. 5. Bakarat, A., Chernobai, A., Wahrenburg, M. (2014). Information asymmetry around operational risk announcements. Journal of Banking & Finance, 48, 152–179. 6. Baxamusa, M., Mohanthy, S., Rao, R.P. (2015). Information Asymmetry about Investment Risk and Financing Choice. Journal of Business Finance & Accounting, 7/8 (42), 947–964. 7. Bessen, J., Meurer, M.J., (2012). The direct costs form NPE disputes. Boston University School of Law Working paper No. 12–34, June 25. 8. Bessen, J., Ford, J., Meurer, M.J. (2011). The Private and Social Costs of Patent Trolls. Regulation, Winter 2011–2012, 26–35. 9. Caballero, R.J., Jaffe, A.B. (1993). How high are the giants’ shoulders: An empirical assessment of knowledge spillovers and creative destruction in a model of economic growth. NBER Macroeconomics Annual 1993, Volume 8, Massachusetts: MIT press, pp. 15–74. 10. Chien, C.V. (2009). Of trolls, David’s, Goliaths, and kings: narratives and evidence in the litigation of high-tech patents. North Carolina Law Review, 87, 1571, 1577– 1579. 11. Choi, J.J., Mao, C.X., Upadhyay, A.D. (2013). Corporate Risk Management under Information Asymmetry. Journal of Business Finance & Accounting, 1/2 (40), 239–271. 12. David, P.A. (2003). The economic logic of “open science” and the balance between private property rights and the public domain in scientific data and information: A primer. In: P. Uhlir and J. Esanu (eds. ), National Research Council on the Role of the Public Domain in Science, National Academy. 13. David, P., Foray, D. (1995). Accessing and expanding the science and technology knowledge base. ST/ Review, 16, Paris: OECD. 14. David, P. (1992). Path-dependence in economic processes: implications for policy analysis in dynamical system contexts. Center for Economic Policy Research, Working Paper, April. 15. David, P.A. (1991). Reputation and agency in the historical emergence of the institutions of ‘open science’. CEPR Discussion Paper, no. 261, Stanford University. 16. Dasgupta, P., David, P.A. (1994). Toward a new economics of science. Research Policy, 5 (23). 17. Edquist, C. (1997). Systems of innovation: technologies, institutions, and organizations. Psychology Press. Press, Washington, DC. 18. Gibbons, M. (1998). Higher Education Relevance in the 21st Century. Human Development Network, World Bank, Washington, D.C.
19. Gibbons, M., Limoges, C., Nowotny, H., Schwartzman, S., Scott, P., Trow, M. (1994). The New Production of Knowledge: Science and Research in Contemporary Societies. London: Sage. 20. Goh, A.L. (2005). Towards an innovation-driven economy through industrial policy-making: An evolutionary analysis of Singapore. The Innovation Journal: The Public Sector Innovation Journal, 3 (10), 34. 21. Grupp H. (2007). Typology of science and technology indicators. In: H. Hanusch, A. Pyka (eds. ), Elgar companion to Neo-Schumpeterian economics. Cheltenham, UK, Northampton, MA, USA: Edward Elga. 23. Heeley, M.B., Matusik, S.F., Jain, N. (2007). Innovation, Appropriablility, and the underpricing of initial public offerings. Academy of Management Journal, 1 (50), 209–225. 24. Houghton, J., Sheehan, P. (2009). Estimating the potential impacts of open access to research findings. Economic Analysis and Policy, 1 (29), 127–142. 25. Houghton, J., Rasmussen, B., Sheehan, P. (2010). Economic and social returns on investment in open archiving publicly funded research outputs. Report to the Scholarly Publishing and Academic Resources Coalition (SPARC), Center for Strategic Economic Studies, Victoria University. 26. Houghton, J.A., Brown, S.S. (2011). Access to research and technical information in Denmark, Technical Report, School of Electronics and Computer Science. University of Southampton. 27. JISC (2014). The value and impact of data sharing and curation: A synthesis of three recent studies of UK research data centers. JISC, March. Retrieved from: http://www.cni.org/news/jisc-report-value-impact-of-datacurationand-sharing (11.06.2015). 28. Kowalczyk, S., Shankar, K. (2010). Data sharing in the sciences. Annual Review of Information Science and Technology, 45, 247–294. 29. Latour, B. (1987). Science in Action: How to Follow Scientists and Engineers Through Society. Cambridge, MA: Harvard University Press. 30. Lee, J.S., Wang, J.C. (2003). Public policies for the promotion of an innovation-driven economy in Taiwan. International Journal of Entrepreneurship and Innovation Management, 3 (3), 227–248. 31. Lemley, M.A. (2012). The myth of the sole inventor. Michigan Law Review, 5 (110),709–760. 32. Lemley, M.A., Melamed, A.D. (2013). Missing the Forest for the Trolls. Columbia Law Review, 113, 2117, 2126. 33. Leung, C.M., Kwok, Y.K. (2012). Patent-investment games under asymmetric information. European Journal of Operational Research, 223, 441–451. 34. Long, C. (2002). Patent Signals. The University of Chicago Law Review, 2 (69), 625–679. 35. Lofgren, K.G., Persson, T., Weibull, J.W. (2002). Markets with asymmetric information: the contributions of George Akerlof, Michael Spence and Joseph Stiglitz. The Scandinavian Journal of Economics, 2 (104), 195–211. 36. Magliocca, G.N. (2007). Blackberries and Barnyards: Patent Trolls and the Perils of Innovation. Notre Dame Law Review, 82, 1809. 37. Merton, R.K. (1973). The Sociology of Science: Theoretical and Empirical Investigations. University of Chicago Press. 38. OECD (1996). The knowledge based economy. General Distribution OCDE/GD (96) 102. 39. OECD (2015). Making Open Science a Reality. OECD Science, Technology and Industry Policy Papers, No. 25, OECD Publishing, Paris. Retrieved from: http://dx.doi.org/10.1787/5jrs2f963zs1-en. 40. Plume, A., van Weijen, D. (2014). Publish or perish? The rise of the fractional author. Research Trends, September. 41. Scotchmer, S. (2005). Innovation and Incentives. Cambridge, Massachusetts, London, England: MIT Press. 42. Simonton, D.K. (2010). Creative thought as blind-variation and selective-retention: combinatorial models of exceptional creativity. Physics of Life Reviews, 7, 156–179. 43. Salmi, J, (2015). Study on Open Science, Impact, Implications and Policy Options. European Commission, Directorate-General for Research and Innovation. 44. UNESCO (2012). Policy Guidelines for the Development and Promotion of Open Access. UNESCO Publishing. 45. Ware, M. (2009). Access by UK Small and Medium-Sized Enterprises to Professional and Academic Literature. Bristol: Publishing Research Consortium. 46. World Bank (2002). Constructing Knowledge Societies: New Challenges for Tertiary Education. Directions in Development. Washington DC: the World Bank. 47. World Bank (1999). World Development Report 1998/1999: Knowledge for Development. New York: Oxford University Press. 48. Zweimüller, J. (2000). Schumpeterian entrepreneurs meet Engel’s law: the impact of inequality on innovationdriven growth. Journal of Economic Growth, 2 (5), 185–206.